Black Bear Design is an Atlanta-based design firm offering all forms of online marketing and design services including web design, web development, graphic design, SEO, PPC, logo design and social media marketing services. 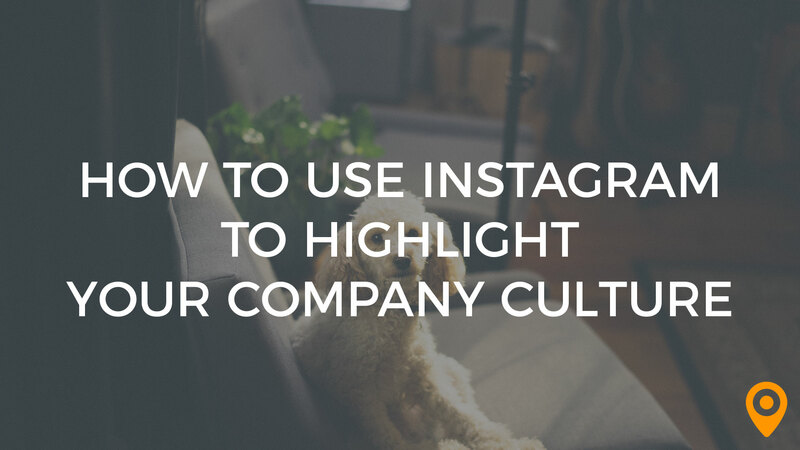 When your company visually shares its corporate culture with the Instagram world it will be able to draw in new followers, fans, clients, and team members. I used Black Bear to develop our new website and was very pleased with my experience. The team I worked with was knowledgeable and was very patient as they walked us through each step of the development process. Now that the site is live I am happy with my decision to choose Black Bear and I highly recommend them to anyone else looking to update their website. Overall I had a really good experience and I had no issues with this company. They listened, seeked to truly understand the project, brought in the right team members, dug in to the project, and provided above and beyond what I needed. I haven't found and aspect I liked least or had a problem. I do know if one ever came up they would listen, come up with the right solution, and address it! They are an amazing company to work with. I respect the integrity, transparency and passion that their team has and how they work together to bring all aspects of a project together. I have been working with BBD for a few months with several different projects. Each project was very different and each time they provided what I needed with above and beyond design, within the budget! I've worked with Black Bear for several years. Originally, they provided design services only for us. Recently, we moved all of our website managements, SEO, and PPC to them as well. Within one year, our web-lead revenue has doubled! It's hard to ask for better, more immediate results than that. Black Bear has been growing quite a bit recently. Our old project manager, whom I loved, was promoted, so there were a few growing pains while they worked to fill her old position and get new team members in place. Over the last two months or so, things seem to have settled down and our new project manager is absolutely fantastic! I'm very happy with my experience working with Black Bear. They've taken the time to really learn about the challenges of our industry and our company, not to mention with my own quirks. They give excellent guidance and are always able to explain why they think a certain tactic will work for us, it's never just a generic "best practices" suggestion. Working with Black Bear Design for our logo was an awesome experience! The people we worked with were professional, easy to communicate with, and time-efficient. We received a pamphlet at completion regarding file types and how to use them. Being given this information at the beginning of the process could have eliminated alot of our questions and helped us better understand what file types to use in different media formats. We LOVE our logo! It was wonderful that they wanted and requested our ideas and thoughts and included them in the final design. We are so proud to finally have a workable logo and would highly recommend Black Bear Design. They have a dog in the office! The overall responsiveness is excellent, timelines and deadlines is top notch. The project management program wouldn't upload some files. We're very pleased and love working with the Black Bear Design Team. They're always there for us with our projects to give us the professional innovative guidance we need to make it a reality! We appreciate Black Bear's creativity, responsiveness and friendly nature. We look forward to their perspective on our company and the best way to share with others about our work. We recognize that in the world of technology everything doesn't go correctly the first time. Black Bear has been responsive to our needs and working out glitches that come with a new site. Our overall experience has been very positive. Our website looks excellent and our retention plan has been very effective. Their patience and willingness to meet all my demands, which they did and exceeded. Well, I liked most everything, but a folder they designed to hold marketing materials was too basic. But the collateral was great inside! They did an outstanding job with our website. More than happy with results. Black Bear's customer service can't be beaten! They are always available to help, they care about you and your company, and they will tell you what you need to hear (in a positive way, of course! ), not just what you want to hear. I've worked with the Black Bear team for several years now. As in any working relationship, there has been the occasional miscommunication over the years, but there is genuinely nothing I can think of that I "like least" about their work. I've worked with the Black Bear team for several years now. From updating letterhead to managing our SEO & PPC to website updates, they have been a terrific partner for our company. They always take the time to answer our questions and provide context for their recommendations, allowing us to make informed decisions that we feel are the best fit for our company. They are also incredibly patient. We are a pretty "hands-on" client, and no matter how many times we might change our minds about a font size, image placement, color block, etc., I never feel like they're losing their patience. I look forward to continuing to work with this incredible team for many years to come. We contracted with Black Bear to create a new website, new marketing material with consistent branding, a new eBook design, social media presence and more. What I liked best was the quality of all the work preformed. Being a small business Black Bear gives us the feel of working with a large agency but priced for the small and medium business. All the people at Black Bear are very professional and great to work with. We will be working with Black Bear additionally in the future they are like an extension of our organization. Can't say there has been anything we have not liked. Overall the experience has been awesome really glad we have established an ongoing relationship with Black bear. I had filled out a request form on their website during the Christmas holiday, and they, unlike other agencies, were not closed from Christmas to New Years and reached out to me within 24 hours. Randee is very relatable and she made it easy to work together. The initial cost estimate was a bit over budget but after talking about our goals, Randee was able to reconsider their initial cost. It was excellent! They called when they said they would and were very proactive throughout the entire process. The staff is very knowledgeable and super easy to work with! So far there is nothing we haven't liked about Black Bear and their services! Our new website is bright and colorful and very modern. Black Bear Design did an amazing job. I have nothing negative to say about the amazing work that was offered by Black Bear Design. They achieved their goal and provided us with exactly what we were looking for. I cannot be more positive with their great work, Black Bear design nailed it. Their professionalism is of the off the charts and their web design knowledge is to be envied. Hasn’t free and easy to deal with. Did exactly what they said they would do and in a timely manor. No complaints. They did everything they asked and more. The staff is what sets this agency apart from its competition, particularly the project manager, Jena. She was attentive to my needs throughout the entire process. Really the only downfall that I experience was they couldn’t be brought in full time on my staff. I have worked with Black Bear for a number of years, and with every project we hastily send their way, they get it done quickly and with complete professionalism. We return to them time and time again because not only do they produce beautiful work, but they serve as an extension of our team. They have helped us explore new marketing opportunities and really target our niche industry's audience. Marketing isn't our strong suit, so we love relying on Black Bear. They can take a great newsletter or flyer and really make it work for you. I'm just relieved we found them.